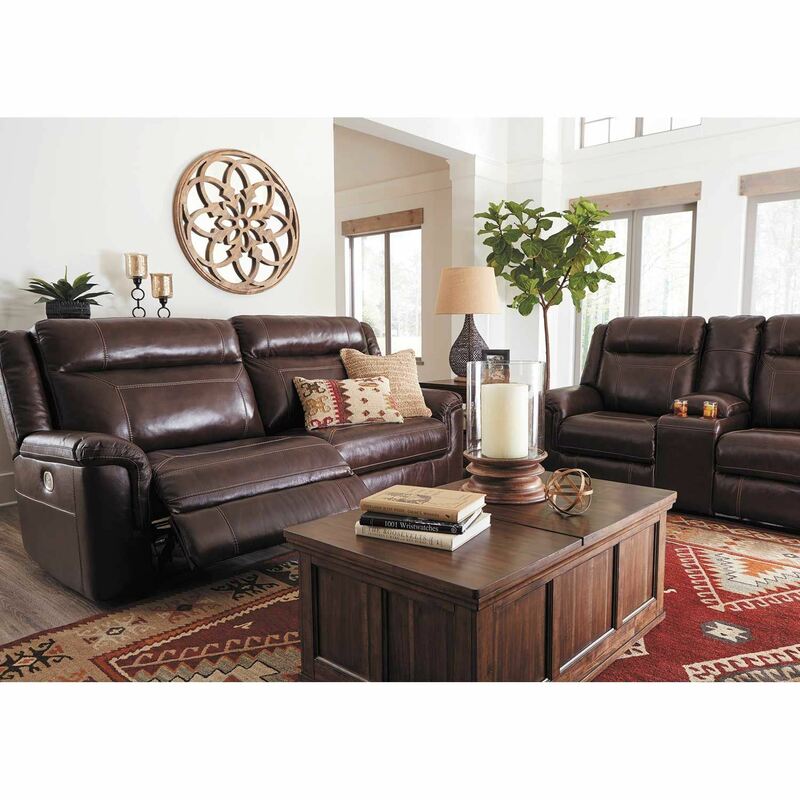 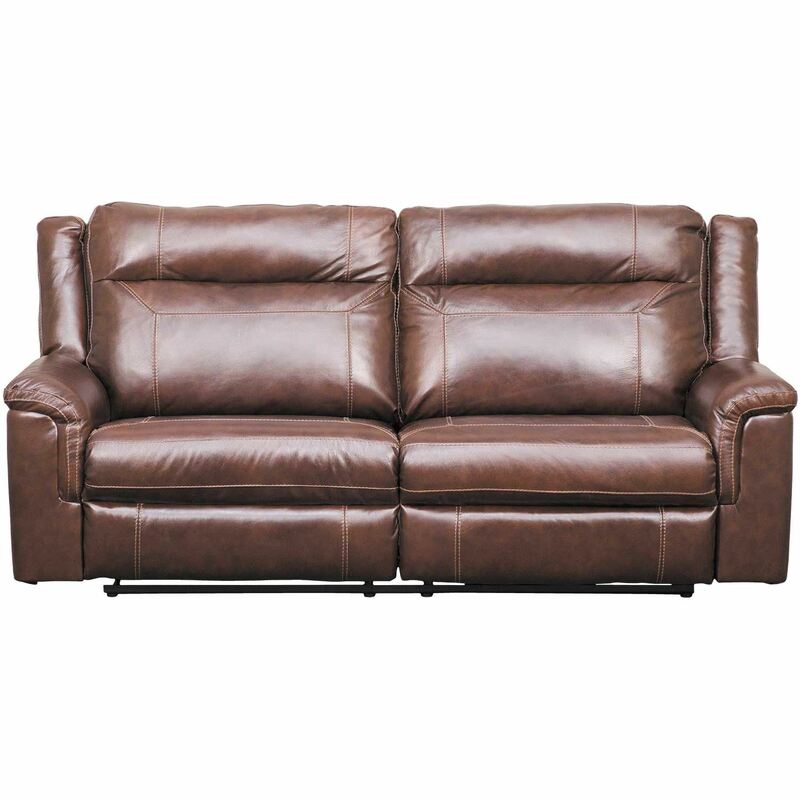 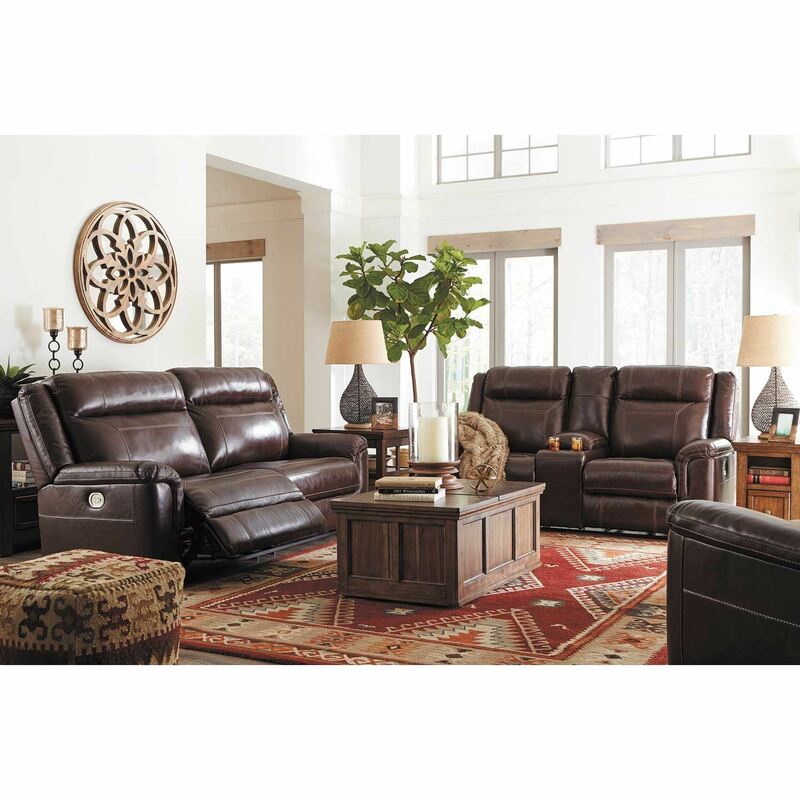 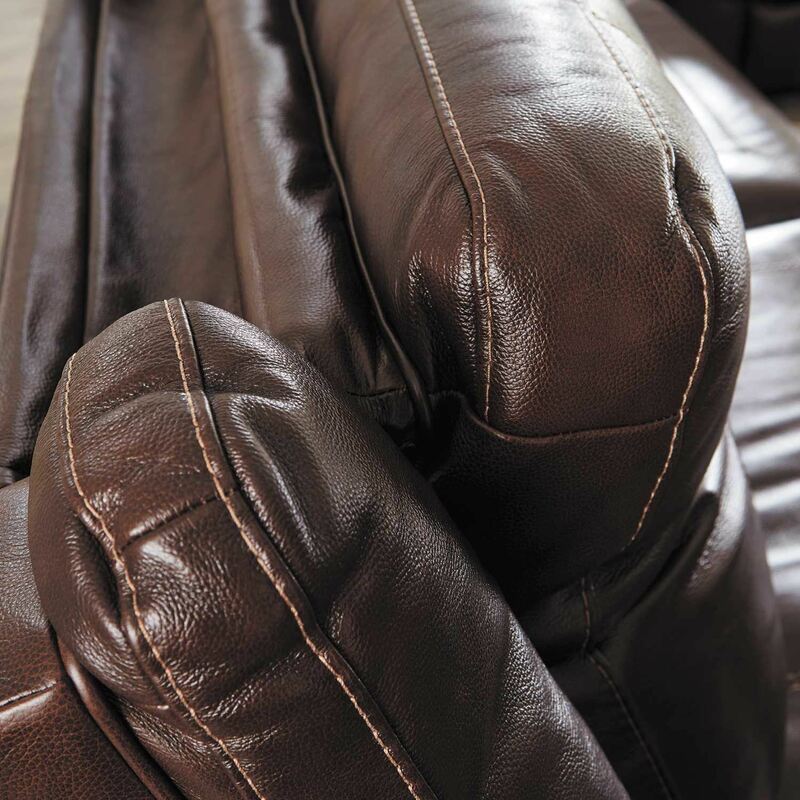 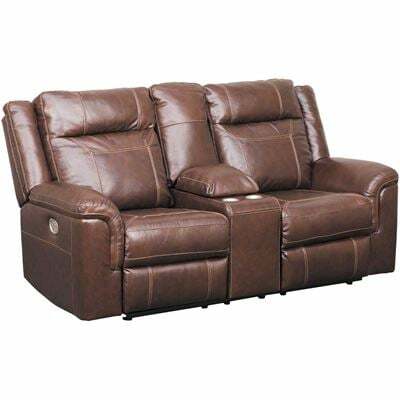 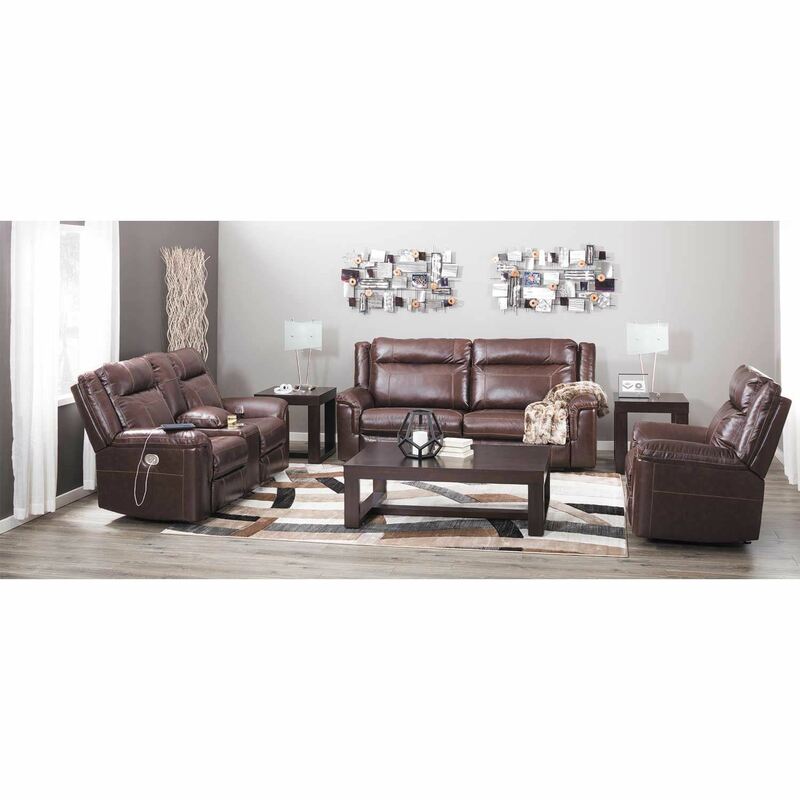 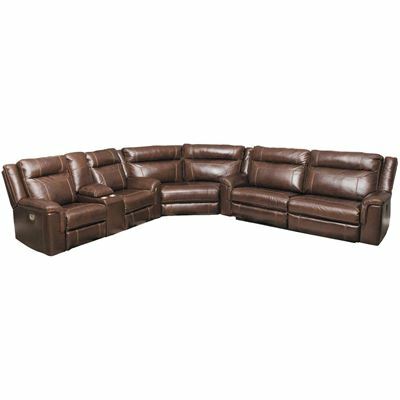 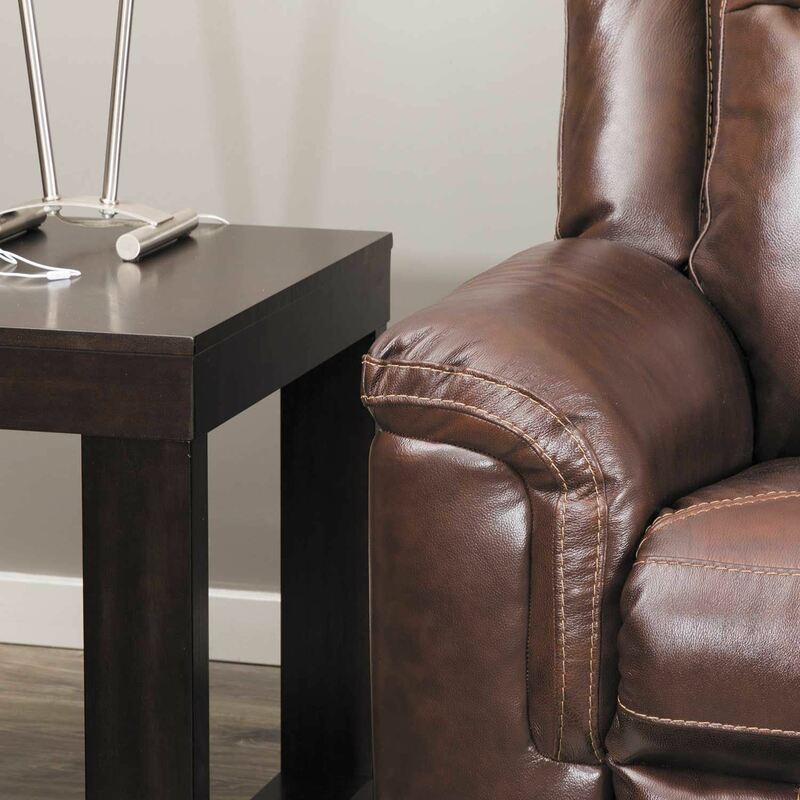 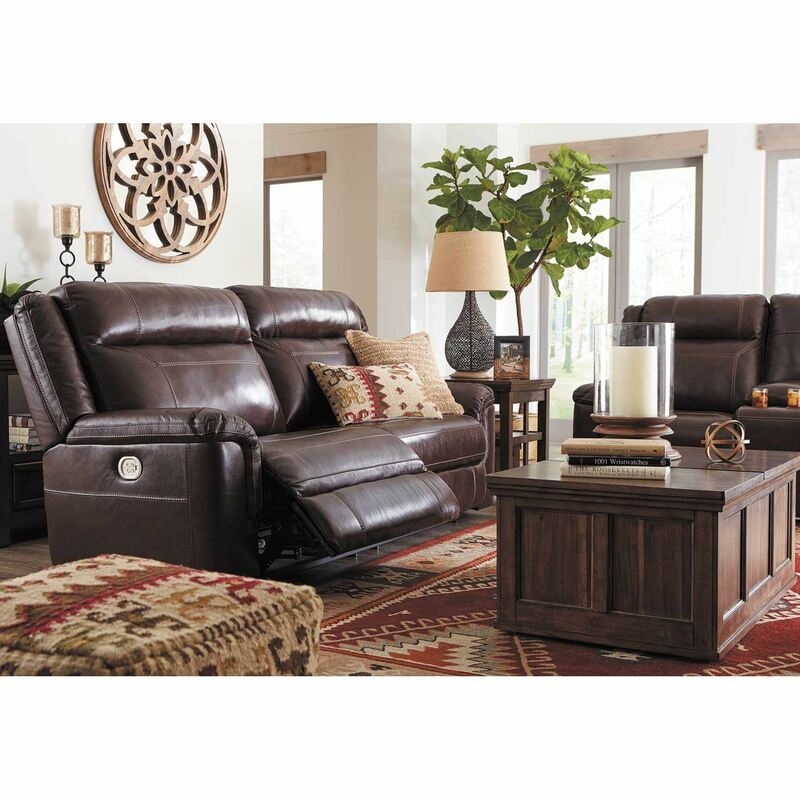 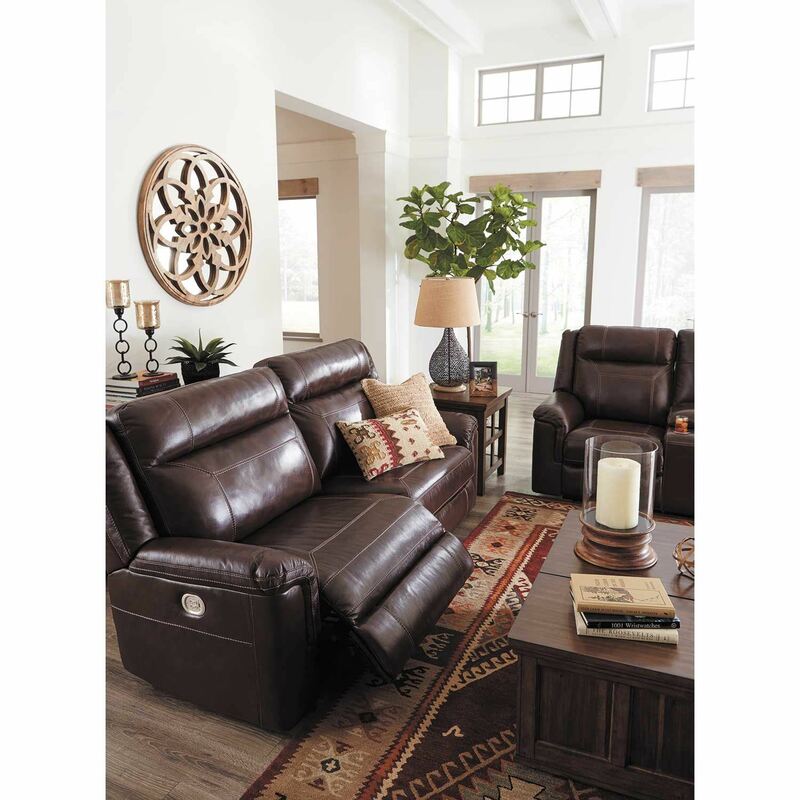 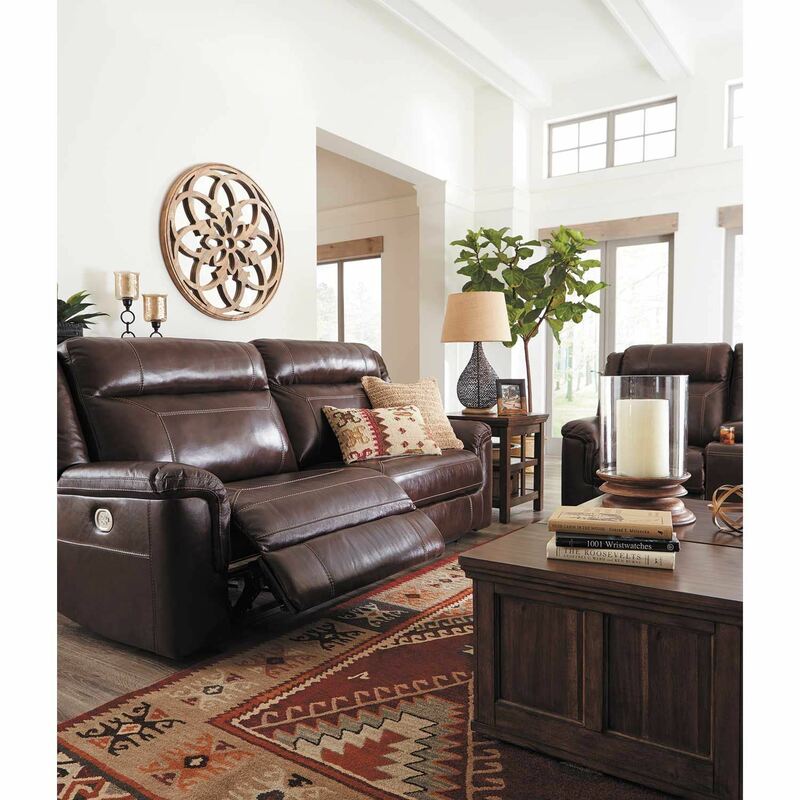 Wyline Leather Power Reclining Sofa With Power Adjustable Headrest from Signature Design by Ashley. 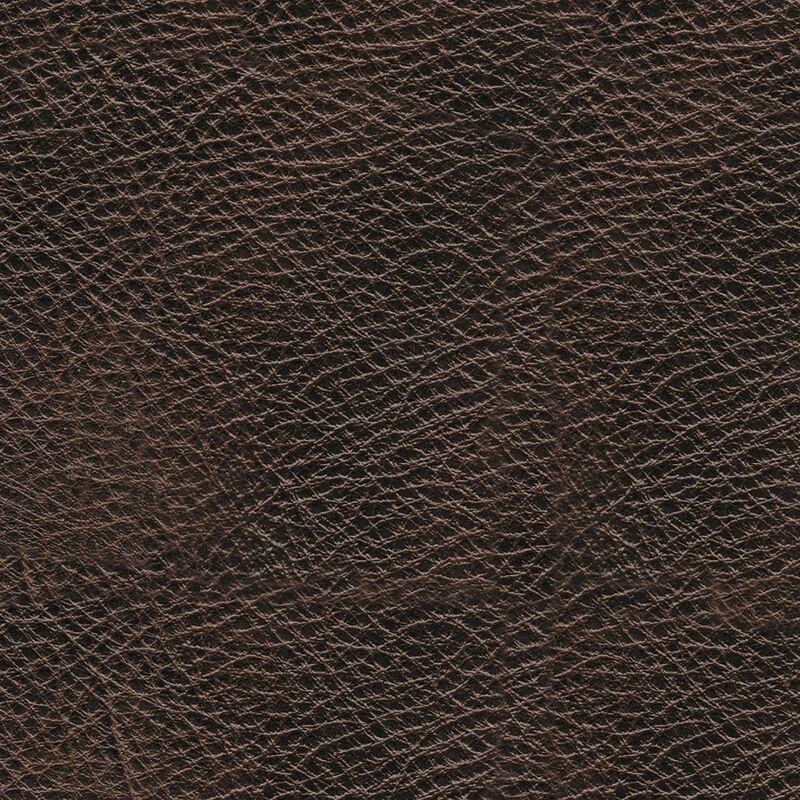 Covered in a coffee leather match application. 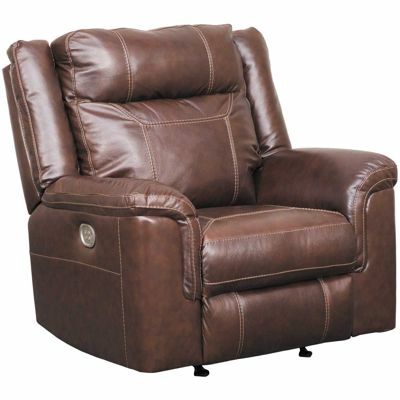 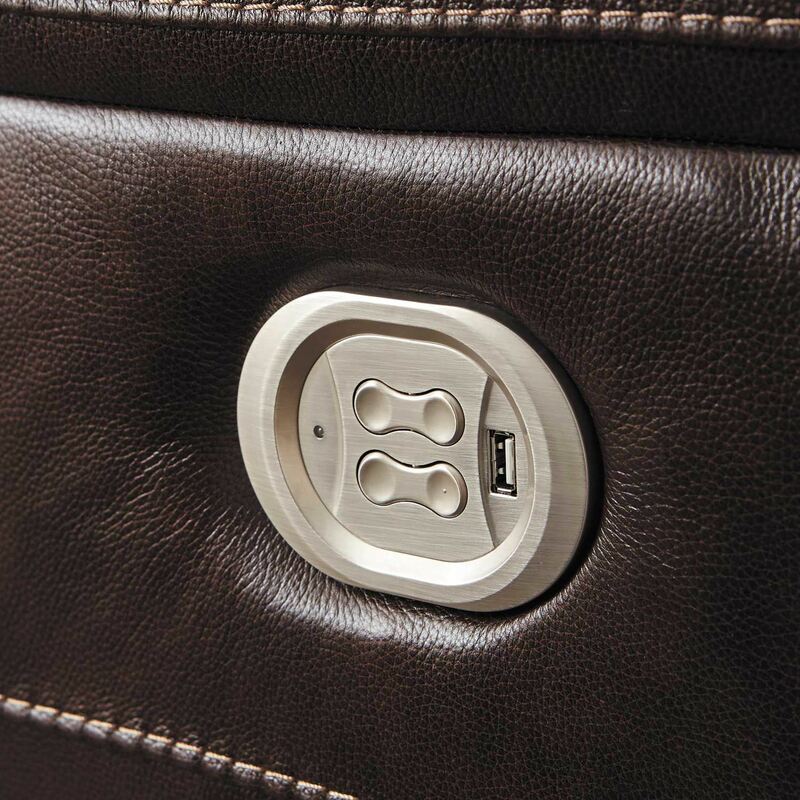 Features include power recliner and power adjustable headrest for infinite comfort possibilities.